I'm guessing that with every new region we'll get two episodes in a week rather than one, seeing as how with the Kanto region we got two episodes, even though Episode 1 was pretty much a montage of scenes showing region and what we can look forward to. Not that I'm complaining. It's a nice way to show we're moving on to a new region in the Pokemon World. Episodes 5 and 6 feature old and new characters and Pokemon, including Legendaries which is the first time since Episode 1 that any have been in an episode. And we get a few rather than just the one. I'll get on to this later. So Episode 5 is where I'll start. We begin our journey in Johto from the detective's POV (the guy from Episode 2 in the Team Rocket investigation), and he's got a case. I guess you could say it's a continuation from Episode 3 since it concerns Giovanni, the leader of Team Rocket, who hasn't been seen since Red beat him at the Viridian City Gym. It's good to see that links are forming between episodes, even though they're indirect and each episode is only a few minutes long. Anyway, to strengthen this link between the story and characters, we see new character #1 who I will not mention here because it turns out they have quite a strong link with one of the characters shown so far, but what I will say is it's a dude. He's on his way to a Pokemon battle when the detective stops him and asks him a few questions about the case. This way we also got to see how Team Rocket is now in a mess without Giovanni, and are doing whatever they can to get into contact with him. As for Episode 6, I like how this was used as more of an origins episode featuring new character #2: Eusine. He's off to find Legendary Pokemon Suicune, who apparently called out to him, hence why he's out looking for it. But Eusine is more of the narrator in this episode as he talks about how Suicune, as well as Entei and Raikou, come into being. Another Legendary Pokemon makes their debut in this episode too, but I've already said enough to the point where I'll end up telling you the whole storyline. It's kind of a sad story as to how the three become Legendaries and the reaction straight after, but what I like about it is how this again links the story and characters through depth and how the episode is delivered; Eusine is not just a narrator in this episode who is looking for Suicune. So, Kanto had a shiny, Johto got Legendaries. 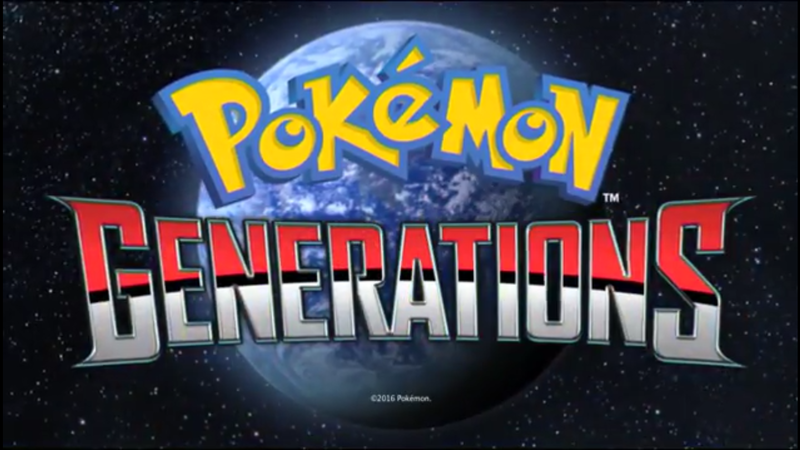 I'm liking it, and Pokemon Generations is definitely not disappointing. 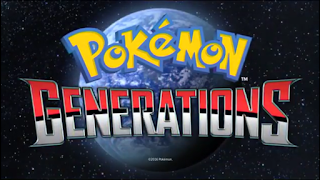 I hope that in the next episode we'll see the first of the second generation Pokemon now that we got Legendaries in Episode 6. I haven't played Gold or Silver, but I'm guessing either of the main characters in these games will make an appearance now that Red and Blue have made their entrances and (indirect) exits from Pokemon Generations. How are you guys finding the series so far? Has it been what you expected or do you prefer Origins? Any Pokemon you can't wait to see? Let me know in the comments!